Mr. Parag Shah is the Managing Partner of Mahindra Partners, the 1 Bn USD Private Equity and Venture Capital division of the 19 Bn USD Mahindra Group. In a career spanning over 20 years, Parag has held various positions with the Mahindra Group including Directorships across Group companies. He has extensive experience in building new businesses, startups, turn arounds, joint ventures and mergers & acquisitions. Prior to his current assignment, Parag worked for the Office of the Vice Chairman & Managing Director, and was involved in New Business Development and strategy for the Group. 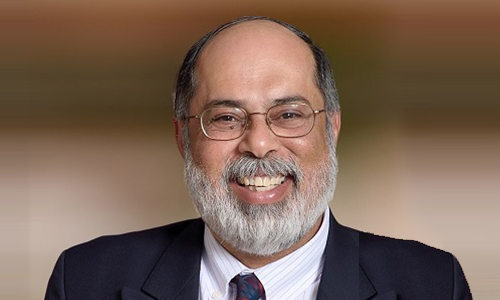 He joined the Group in 1999 as Chief Executive Officer of Officemartindia Ltd.
Parag holds a BS Degree in Computer Engineering from the Illinois Institute of Technology with special electives in Psychology and Manufacturing Technology. He is also a graduate of the General Management Program from Harvard Business School. Parag has been recognized by Economic Times & Spencer Stuart as India’s Top 40 Business Leaders under the age of 40. He has also been featured by India Today as ‘Leaders of Tomorrow’. Parag is on the Executive Committee of several industry bodies like CII, FICCI, TIE, and has been invited as a regular speaker at various International forums. Parag is affiliated with various prestigious NGO associations such as Sabarkanta Relief Committee and JBS Trust. He is also a Founder Director of “Executives Without Borders”, an NGO based in USA. Mr. Zhooben Bhiwandiwala currently heads the Mahindra Partners division and additionally oversees the Group Legal function. The Mahindra Partners division is the 1 Bn USD Private Equity and Venture Capital division of the Mahindra Group and is the channel for the Groups diversified new investments. Zhooben joined the Mahindra Group in 1985, and through a remarkable 31 year career has acquired a wide spectrum of experience across diverse roles in a number of key positions in several business sectors. As a long standing veteran, he has traversed an interesting path across the Group during the past three decades -- in terms of the diversity of roles, their geographic reach and location, as also the industry verticals. He has during this tenure, acquired broad ranging cross-functional experience across several industries, and his active roles have embraced finance, legal, significant cross border M&A, HR, marketing, strategy and other commercial functions. Zhooben has spent around 7 years on deputation to international assignments in the UK and US, and through the span of his career been extensively involved in international operations, incubating/investing in new businesses, start-ups, joint ventures and mergers & acquisitions. He is also an active participant in several Group corporate initiatives and is the Chairman of the HR Academy at the Mahindra Learning University. Currently, Zhooben is a Director on the Boards of a number of companies of the Mahindra Group including many of its overseas subsidiaries. Among others, he sits on the Boards of Mahindra Logistics, Mahindra Intertrade, Mahindra CIE, First Cry, Scoot Networks USA, Mahindra Finance USA, The East India Company, etc. He is also a member of the Global Advisory Board of i-Probono, UK, and Safe Kids Foundation, India. Zhooben is one of the chief architects of Mahindra Partners. The Division adapts the Group's unique strengths of constant innovation, prudence and creative business models with the mandate of incubating new ventures for the Group.Mahindra Partners accelerates value creation through a diversified global portfolio of emergent businesses spanning various industry sectors like Cleantech, Logistics, Steel, Retail, Consulting, Media, Speed Boat Manufacturing, Conveyor Systems, and several other portfolio investments. While professionally qualified as a Chartered Accountant, he has through these exposures collected a rich basket of experience and made valuable contributions to the Mahindra Group. If you have questions for us, or wish to get in touch with our people, please email mpartners@mahindra.com.